This was a customer commissioned job following some of the original nylon moulded gears splitting. All gears were replaced whether they had split or not, along with new shafts and axles. This was done to avoid the possibity of any of the other gears from splitting later. 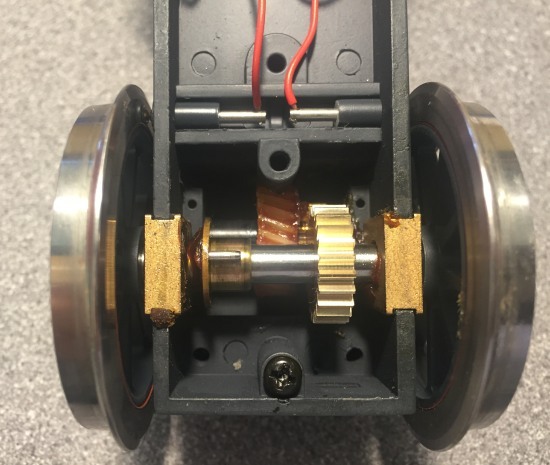 At the same time the spur gears that are meshing with the worm were replaced with the correct helical gears with a wider face width, this now allows the worm and wheel gear set to mesh at their pitch diameters. 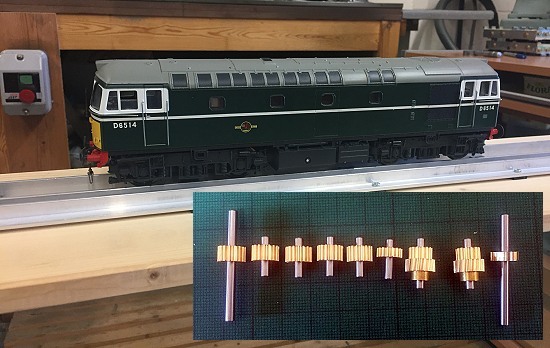 Also the end float in the helical/spur gear cluster was also reduced. 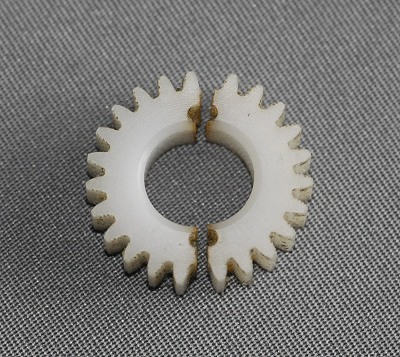 The two spur gears that mesh with this gear cluster also had their face widths reduced to allow for the increased face width of the helical gear. As all the gears are manufactured from brass the reduction of the face with on some of these gears should not cause any problems in performance. The original final drive gears had split in two across the holes for the gear drive pin locations. Out of the four final drive gears in the locomotive, all but one had split. Unlike the original gears the new replacements have been fitted directly to the axle, without the need for the original drive pin setup. The new gears also had the face width reduced to increase the clearance between the final drive gear and the worm wheel. 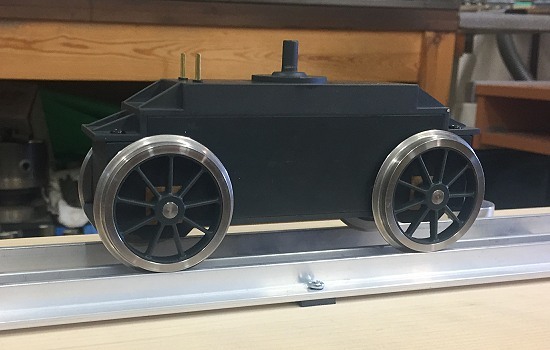 One of the completed bogies with two new final drive gears fitted.